Will Rev. Moon’s Funeral Offer Opportunities for Peaceful Dialogue Between North and South Korea? SEOUL, SEPTEMBER 6, 2012: Interest is focused on whether the Kim Jong Un government in North Korea will send a representative to offer condolences for the death of Rev. Dr. Sun Myung Moon in South Korea despite icy relations between the two nations. Rev. Moon’s interest in reconciliation between North and South and Korean unification derives from his conviction that world peace cannot come before the sharp confrontation between democracy and communism is resolved on the Korean peninsula. Following the death of Kim Jong Il in December 2011, Rev. Sun Myung Moon dispatched Unification Church International Chairman Rev. Hyung Jin Moon, Washington Times Chairman Douglas D.M. 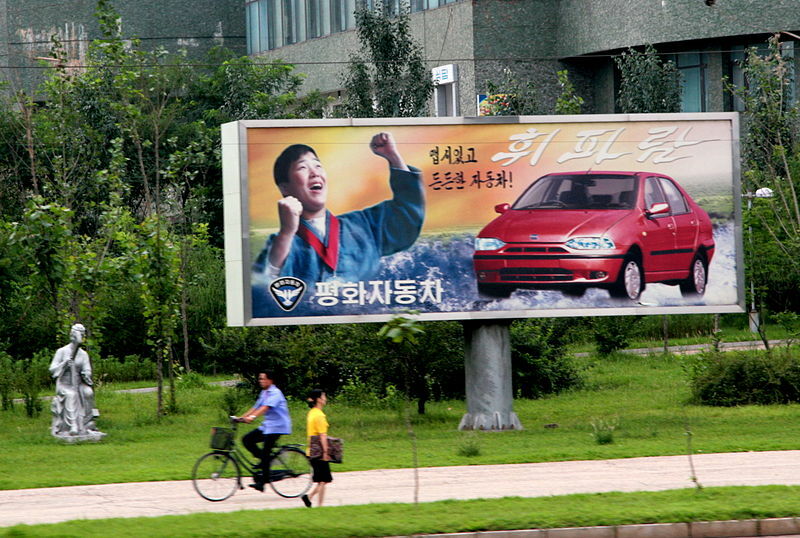 Joo and Peace Motors Co. President Sang Kwon Park to North Korea to offer condolences and meet Kim Jong Un. Relations between the two Koreas have been icy since the beginning of the administration of South Korean President Lee Myung Bak. The Mt. Kumgang tourism project by Hyundai Asan was suspended in July 2008, following the shooting death of a South Korean tourist. The sinking of the South Korean naval vessel Cheonan and North Korea’s bombardment of South Korea’s Yeonpyong Island have increased tensions between the two sides. The Unification Church, however, continues to maintain close ties with the North Korean leadership. Prior to his death, Kim Jong Il sent presents to Rev. Moon on his birthday every year. In 2011, the Unification Church sent a large shipment of wheat flower to North Korea as a part of its humanitarian aid efforts. The relationship between Rev. Moon and Kim Il Sung dates back to Dec. 6, 1991, when the two men held a meeting during a visit by Rev. Moon to North Korea. (photo above) Many at that time questioned why Rev. Moon, a well-known anti-communist, would visit North Korea at a time when the international community was expressing concern over Pyongyang’s nuclear program. During their meeting, Rev. Moon and President Kim agreed that North and South Korea should pursue a meeting of the two side’s presidents, opportunities for separated families to meet each other, and the development of Mt. Kumgang. These agreements opened the way for significant improvements in North-South relations. In 1998, the Little Angels, a children’s folk dance and singing group sponsored by Rev. 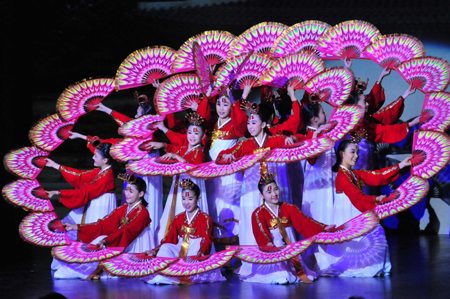 Moon, became the first South Korean performing arts group to visit and perform in North Korea. The visit was reciprocated in May 2000, when the Pyongyang Children and Students Performing Arts Troupe performed in Seoul. Such exchanges would not be possible without a relationship of mutual trust. In August 2007, the Unification Church completed construction on a five-story “World Peace Center” in Pyongyang with 4,620 square meters (49729 square feet) in total floor space. Starting about ten years ago, the Unification Church assisted in the building of the Peace Motors Company factory in Nampo, North Korea, and supported the operation of the Potonggang Hotel in Pyongyang. Rev. Moon began a movement for “victory over communism” as far back as the 1960s. When communist societies began to show greater reform and openness during the 1990's however, Rev. Moon met with then-Soviet President Mikhail Gorbachev and North Korea’s President Kim Il Sung to push for Korean reconciliation and unification. Unification Church leader Mr. Bo Hi Pak caused a major stir in July 1994 by visiting North Korea following the death of North Korean President Kim Il Sung to offer condolences. Mr. Pak’s visit, the only one of its kind by a prominent South Korean figure at the time, left a strongly favourable impression with the North Korean leadership. In South Korea, Mr. Pak was widely criticized. When law enforcement authorities in the South also made an issue of the visit, Mr. Pak felt compelled to delay his return to South Korea for an extended period. Mr. Pak made his visit to North Korea at the specific instruction of Rev. Moon.